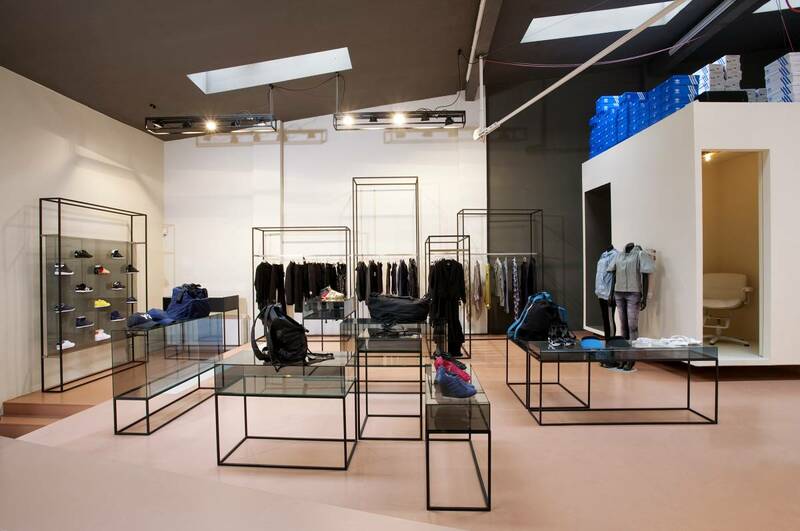 No74 on Torstrasse in Berlin designed by Laura V Rave combines retail, exhibition- and event space in the city’s new centre of cool. 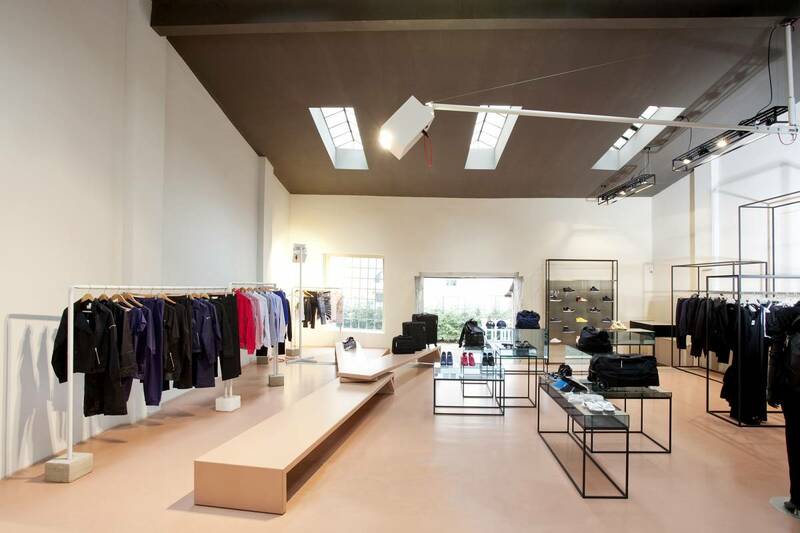 In stark contrast to its rough and untouched exterior facade, the interior of the store is kept clean and calm. The high white walls, salmon colored floor,and dark ceilling gashed by three industrial skylights provide a formidable space for presentation.